Oracle NetSuite provides Enterprise Resource Planning (ERP) solutions for large, medium, and small businesses with industry-specific functionality spanning a broad range of companies. NetSuite's cloud business management suite addresses the needs of the CEO, CFO, Controller, and CIO and is quickly replacing QuickBooks, Microsoft Dynamics, Sage, SAP, and other business systems. Oracle Planning & Budgeting Cloud (PBCS) is a planning, budgeting, and forecasting solution used by many large, medium, and small companies worldwide. 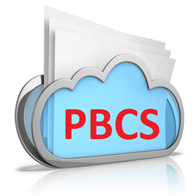 PBCS provides a rich Web and Microsoft Office work environment that has solved a wide variety of financial, sales, and operational planning use cases across multiple industries. Together, Oracle NetSuite and Planning & Budgeting Cloud (PBCS) enables quick adoption of world-class financial planning and budgeting across lines of businesses with flexible and customizable deployment options. Oracle NetSuite and PBCS facilitates both company-wide and departmental financial planning with modeling capabilities, approval workflows, and reporting within one collaborative scalable solution. Oracle NetSuite and PBCS offer comprehensive integration with Microsoft Office tools such as Microsoft Outlook, Excel, Word and PowerPoint with Smart View for Office. Users can leverage Excel as the environment for adding custom members on the fly, slicing and dicing data and ad-hoc modeling. Common financial planning actions, such as spreading and allocation, are available within planning data grids rendered within Microsoft Excel. As an Oracle Gold partner, MindStream Analytics helps organizations acquire, implement, host, and manage strategic finance solutions including Oracle EPM Cloud. We believe that the power of technology combined with best practices and access to relevant information, helps companies gain a competitive advantage with improved planning, budgeting, reporting, and analysis. Need help deciding if Oracle NetSuite and PBCS are right for your company? Fill out the form below to contact a MindStream representative.